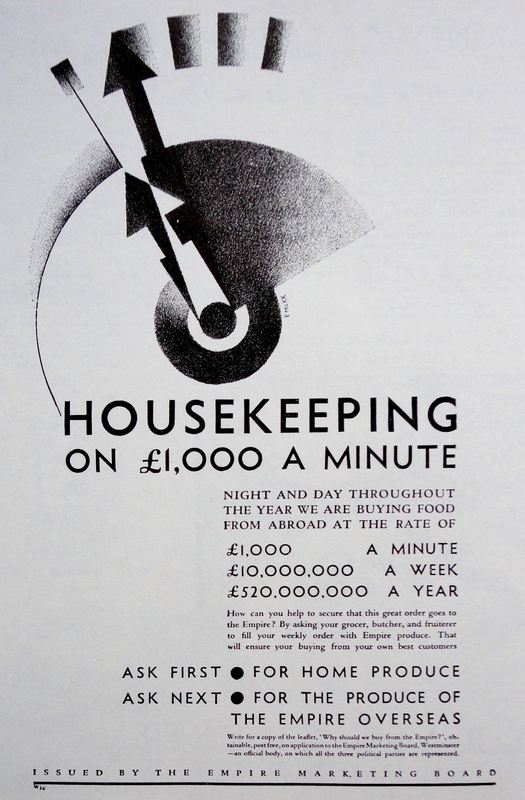 The advertisement opposite comes from Good Housekeeping magazine and dates back to the early thirties. It aims to promote home produced goods or at least British Empire produced goods in order to help the domestic economy. A familiar theme even today. 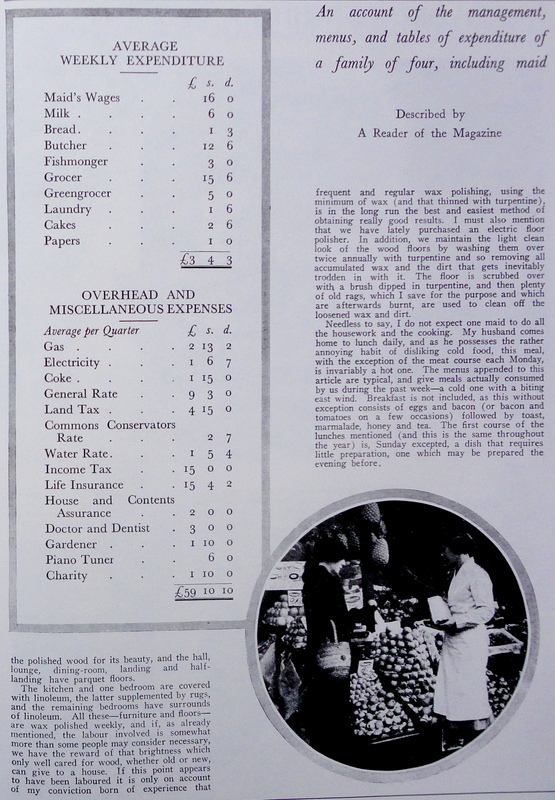 It is interesting to note that the weekly wage of 16 shillings paid to the house-maid is only sixpence short of the cost of the grocery bill! How times have changed! 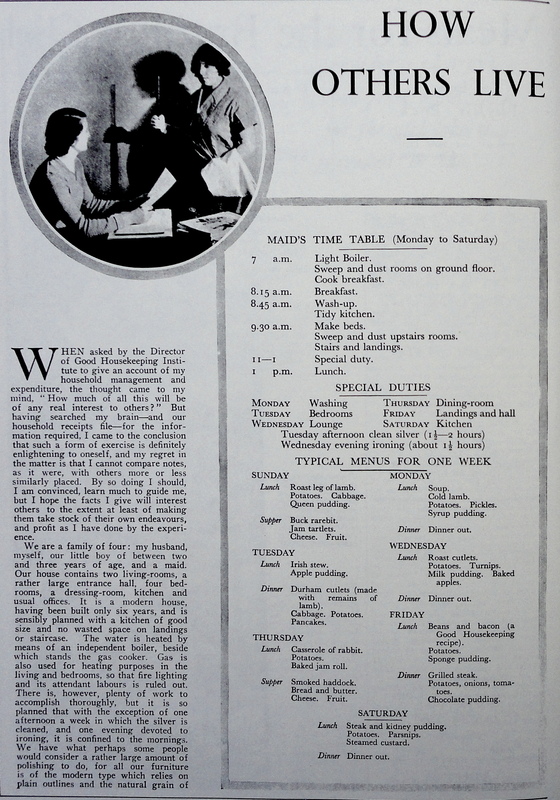 This entry was posted in Granny Robertsons Cookbook and tagged Good Housekeeping, home economics. Bookmark the permalink.